Brooklyn, NY – March 3, 2016 – Thousands of people across the country spent their week binge watching Netflix, and now they find themselves craving more “Fuller House.” Well fear not! 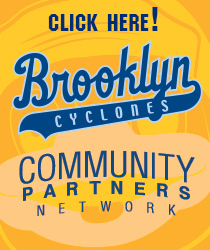 The Brooklyn Cyclones are set to pay homage to the “City by the Bay,” and their most famous residents – The Tanner Family – this summer at MCU Park. 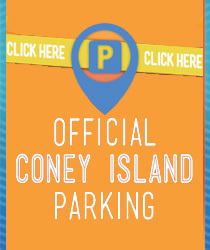 The Full House Tribute Night will be held at MCU Park on Coney Island (The City by Sheepshead Bay) on Saturday, July 9th. The Cyclones cannot say with certainty that they will HAVE MERCY on their opponents that evening, the Rush Hour Renegades (Okay, their actually from Hudson Valley, but we’re going for a theme here in case you didn’t notice). As part of the evening’s festivities, the first 2,000 fans in attendance will receive a bobblehead of everyone’s favorite uncle – John Stamos – featuring his trademarked perfectly coiffed hair. 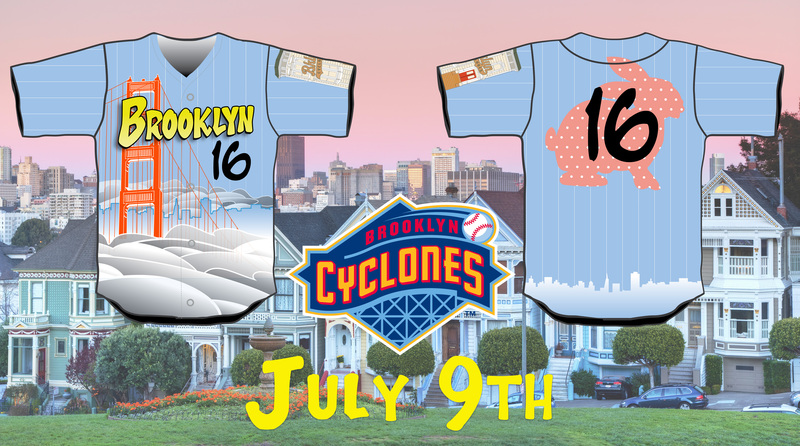 In addition, the Cyclones will be wearing special on-field jerseys that will instantly take you back to those Friday nights in front of your TV watching “TGIF”. The uniforms will feature a foggy Golden Gate Bridge on the front and a design reminiscent of Uncle Jesse’s wallpaper, pink bunny and all, on the back. Uncle Jesse Air Guitar Contest. No Hands Cereal Eating Competition – After Uncle Jesse’s motorcycle crash, he tries to eat a bowl of cereal with two broken arms, contestants will be asked to do the same (don’t worry, nobody’s arms will be broken during the process). Uncle Joey Race Around the Bases – Contestants will have to perform various tasks associated with Uncle Joey including dressing like Bullwinkle, playing the role of Popeye and saving Olive Oil, scoring a hockey goal and then racing home to wave the Canadian Flag. Kimmy Gibbler Stinky Feet Competition – Some poor soul on our staff will judge who has the most foul smelling hoofs in the ballpark. All broken bats will be presented by Ranger Joe’s sidekick Mr. Woodchuck. 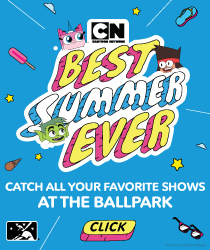 In honor of the Olsen Twins and Michelle Tanner, real life twins will be able to take advantage of 2-for-1 ticket deals at the box office.